This is a Obviously Advent Children, (which is awesome by the way for those who havent seen it) anyway this comprises roughly about 5 layers with blending enhancements, lighting , gradients with some filters int here as well! I used Photoshop cs2! this is an awesome wallpaper! u'm adding this to my faves.... keep up the good work! this is an awesome wallpaper! i'm adding this to my faves.... keep up the good work! wicked wall, I luv it. Good job! 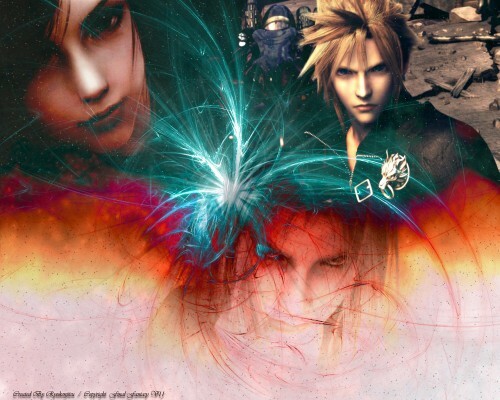 I LIKE FINAL FANTSY 7 A LOT OF ALL THE SQUARE ENIX productions,like tifa and shepirot.